Call or Click to Save on Guelph Car Insurance! Compare The Cheapest Quotes : We help you compare insurance quotes from leading insurance companies so you can keep more of your hard earned money. Our average customer saves about $400 each year. Best Selection : We know you want options. As an independent car insurance broker, we can get you unbiased auto insurance quotes from over 40 insurance companies. Compare your options and choose the lowest rates. Your Needs Matter To Us : Without our valued customers, we would have a tough time staying in business. Therefore, providing exceptional customer service and insurance expertise is a top priority for us. We’re here to help you with ALL your car insurance needs – claims, quotes, questions, and more. Insurance Savings Made Simple : We know you’re busy and you want shopping for car insurance to be as simple as possible. Whether you choose to get an Online Quick Quote or call 1-855-550-5515 toll-free and talk to a broker, you’ll receive the best car insurance at the cheapest rates in Guelph. Compare Guelph car insurance quotes and save hundreds. 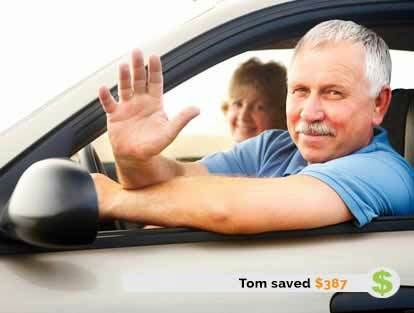 Save 20% more by bundling Car and Home insurance! Why Choose Us For Auto Insurance In Guelph? How About The Cheapest Quotes And Best Savings! Many people avoid shopping around for auto insurance in Guelph because they buy into the misconceptions – it takes too long, it’s difficult to get cheap insurance rates, and it’s confusing – not with ThinkInsure. We make shopping for car insurance in Guelph as easy as possible. You can do it from the comfort of your own home, at a time that is convenient for you, and it only takes a few minutes to complete your free online quote. The simple act of getting a car insurance quote ensures that you are getting cheap rates and saving money on your auto insurance policy. If you buy into the misconceptions and myths that exist, you are missing out on an opportunity to keep more money in your pocket, save money, and make sure you have the best car insurance coverage for your driving needs. What are you waiting for? Compare quotes and start saving on your Guelph Car Insurance call 1-855-550-5515. You will hear it time and time again – getting the cheapest car insurance quotes is simpler than you realize. There is no magic formula or secret to saving money on your policy – you just need to stay on top of your car insurance, get a quote when your policy comes up for renewal, and let us do the shopping for you. Make sure your broker has up to date information about you and your vehicle. Bundling your home and auto insurance when possible. Get a car insurance quote when your policy comes up for renewal. 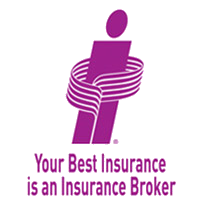 Talk with your broker about your insurance coverage options and ways to save. Explore options to get auto insurance discounts. Following these simple tips can help you save and get the lowest car insurance rates possible for your specific driving needs and situation. A strategically located city in the heart of Southwestern Ontario, Guelph lies about an hour west of Toronto and just east of Waterloo. With easy access to other major cities via Highway 6, Highway 7 and Highway 401, Guelph offers drivers a variety of roads to drive – rural roads, one lane highways, major highways and city driving. So, whether you are headed to work, to class, or out to visit some friends, it’s vital that you have a dependable car insurance policy. Known as “The Royal City,” it is home to more than 120,000 residents and thousands more students who attend the University of Guelph, Ontario Agricultural College, Ontario Veterinary College and a small Conestoga College campus. It is also regarded as one of the best places to live in Canada because of its low crime rate, low unemployment rate, location, and high standard of living. However, one area of concern for Guelph residents is traffic offenses and accidents, which increased between 2013 and 2014 according to the Guelph Police Services Annual Report. The report found criminal traffic offences and Highway Traffic Act offences rose 13 per cent and 21 per cent, respectively. The good news is there were no fatal motor vehicle collisions in 2014 and a 2.5 per cent decrease in the number of collisions resulting in personal injury. Driving safely and staying alert when behind the wheel is key to avoiding accidents, keeping your driving record clean, and maintaining low car insurance rates. Wednesday and Friday have the highest accident rates. 12pm and 3pm are times of day that experience the most accidents. Being rear-ended, accidents occurring while turning, and single vehicle accidents are the most common. Before driving, check out traffic conditions and map your route accordingly. Check the city website to see where construction is taking place. Avoid these areas. Be extra cautious and watch out for pedestrian traffic when driving near the university and colleges or in school zones. Be prepared to adjust your driving based on the type of road you are driving on (highways, residential roads, rural roads). Give yourself enough time to get to your destination. Following these tips will help you be a safe driver and get the cheapest rates for car insurance in Guelph. Is your car insurance policy coming up for renewal? Think you are paying too much for auto insurance? Compare car insurance quotes online or call 1-855-550-5515 toll-free and a broker will be happy to help you.